People looking to move to Germany to start a new career, or maybe just to experience what Germany has to offer, will find themselves engulfed in what appears to be an endless amount of historical architecture as a result of their influence in the war. Their public transport system is one of the most reliable systems in Europe, their healthcare system is almost unbeatable and their education system is as good as any. Along with a general high standard of living and low cost of living, Germany has become a typically popular country to visit for a week, or live for a lifetime. 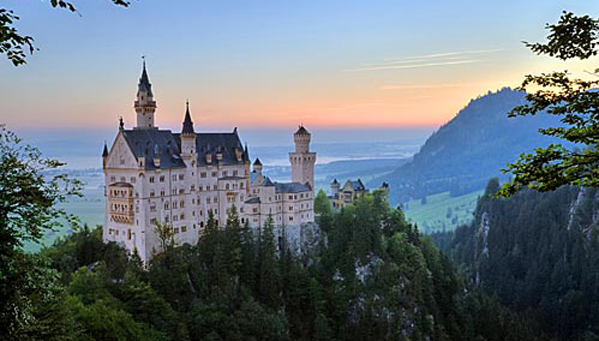 Germany is by far the largest country in Europe by population with over 82 million residents. It has evolved over the past decade into one of the most cosmopolitan, modern countries in Europe. Germany is a nation of well educated, independent and creative people who share similar important family values. Many German successful companies have made their way to the very top of their industrial list of competition with a creative and passionate workforce. The manufacturing industry has led to major success in Germany for decades now. The “made in Germany” tagline nowadays is internationally recognised as a measure of good quality, reliability and sturdiness in their products and services. Some of Germany’s very successful companies include BMW, Siemens and Volkswagen. Germany is home to the biggest beer festival in the world (Oktoberfest) which takes place in Munich every year, and celebrated all across the world today. Germany is also a major player in the world of arts. Hundreds of Museums are scattered across Germany displaying a variety of fascinating pieces from paintings and sculptures, to historic weapons and war memorabilia. We have thousands of local members waiting to answer your questions on living and working in Germany. Join Worky or Login to Join the Discussion. I am Prem from India, Have 6 years of experience in Electronics Industry, Looking for a Job in Germany. anyone please help.